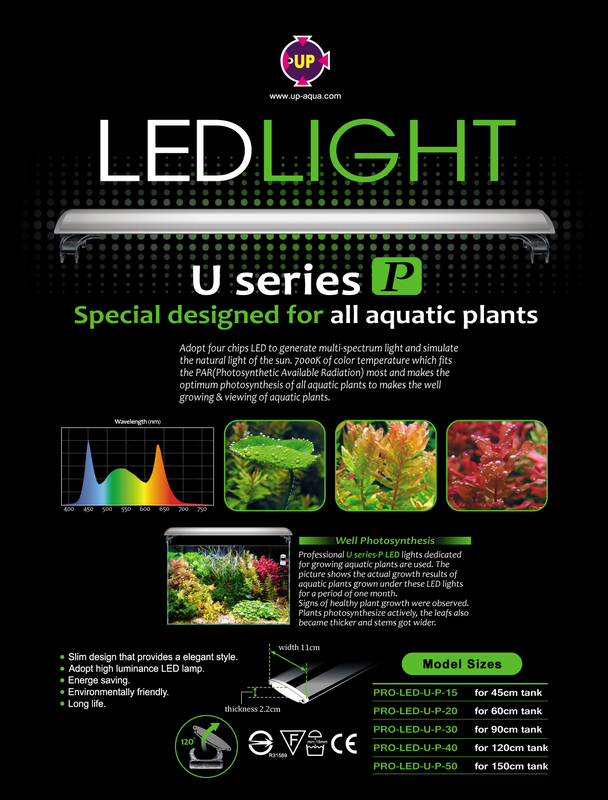 UP-Aqua U series P is specially designed for growing plants in the aquarium. Superceeding the UP-Aqua Pro Z, the U series is a vast improvement over its popular and well-received predecessor. Adopting newer, larger LEDs allow it to be brighter than ever with better light coverage and deeper penetration to the bottom (great for foreground plants like HC). By design the UP-Aqua U is an energy efficient unit producing a high output of light with low power consumption. It is time to replace the old florescent tubes and weak LEDs units with the new UP-Aqua U series P, specially designed for growing plants. UP-Aqua U Series P comes from the official UP-Aqua Australian distributors so it comes with a 12-month warranty. Beware of grey imports from unauthorized importers, although it might be cheaper but you will be on your own if you run into problems.